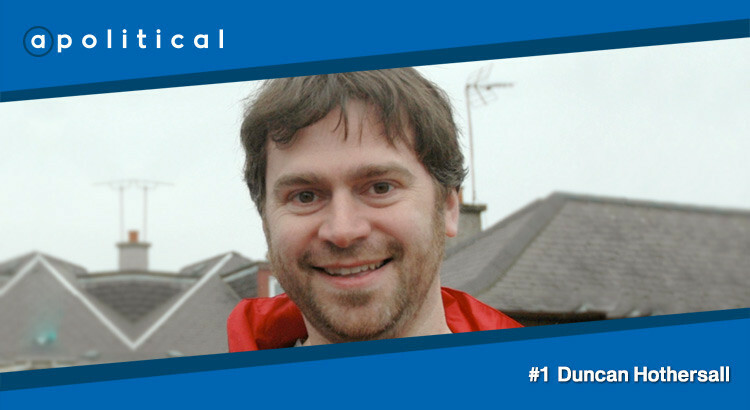 In Episode 1, apolitical sat down with Duncan Hothersall to discuss his political roots, heroes and ambitions. For anyone familiar only with Duncan’s high-volume, opinionated and occasionally confrontational Twitter contributions here is an opportunity to decide whether that persona is a true representation. Duncan is a member of the Scottish Fabians, chair of the constituency Labour Party for Edinburgh South and is a high profile activist for Scottish Labour. • The reaction from inside Labour to his Twitter activities.